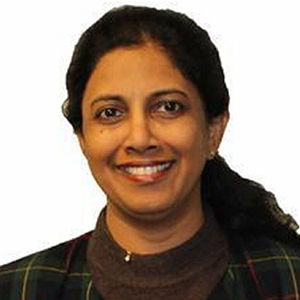 Seema Swamy specializes in providing Customer and Market Insights to help organizations attain and maintain product leadership in the marketplace. She currently manages customer support research at a Fortune 500 company. Seema has managed Customer Success and Market Research at VMware. She has worked with both B to B and B to C companies providing actionable recommendations that informed the effective development as well as launch of products with optimal messaging and positioning to target audiences. She is an expert in both qualitative and quantitative research methods to develop holistic insights about key drivers and inhibitors of product adoption, customer acquisition as well as retention through increasing loyalty and positive word-of-mouth. She has been an invited panelist and presenter at International Conferences and published articles on customer insights in various journals. Her work on maximizing Trust and Safety on the eBay platform is a case study in Anna Bernasek’s book ͞Economics of Integrity: From Dairy Farmers to Toyota, How Wealth is Built on Trust and What That Means for our Future.͟ Seema has worked and consulted a number of organizations including Cisco, Apple, Intel, Trend Micro, VMware, Equinix, Yahoo!, PeopleSoft, and Capital One as well as stealth mode startups. She received her Ph.D. degree from Stanford University. Her dissertation focused on the application of Social Psychology to ensure products’ success in different cultures and markets.